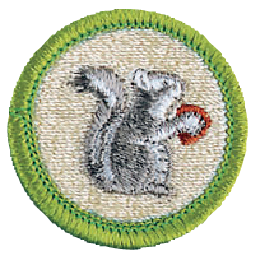 Scouts can add a different merit badge to their sash the second Saturday of each month from 9 a.m. – noon from September 2018 – June 2019 at one of our education centers. 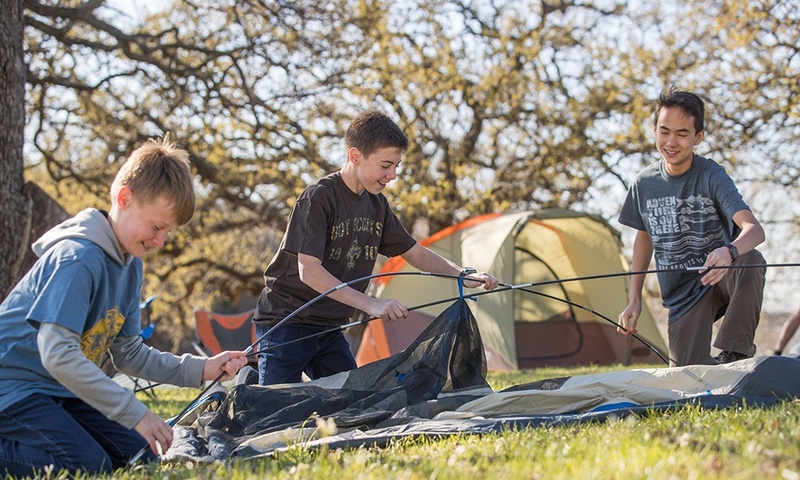 These fun, hands-on programs are for ages 10 – 17 and $30 per Scout per program. Or earn the horsemanship merit badge from 9 a.m. – 4 p.m. on November 10 or 11, 2018 at Danada Equestrian Center. This program is for ages 12 – 17 and $70 per Scout per program. 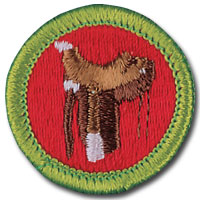 Most of the merit badge program options have requirements that Scouts must complete in advance and turn in at the program. Questions? Call Fullersburg Woods Nature Education Center at 630-850-8112. Learn about bird anatomy and identification — including bird calls — and how to use binoculars and field guides. You must turn in completed requirements 5, 7b and 8 with photos at the start of the program. Ages 10 – 17. Register online or call 630-850-8110. Investigate how ecologists manage wildlife in DuPage County's urban environment, and participate in a project to help wild animals that live in the forest preserves. You must turn in completed requirements 5 and 8 at the start of the program. Ages 10 – 17. Register online or call 630-850-8110. Spend time in the prairie and woods learning about mammals and the features that distinguish them from other animals. Then, participate in a project to benefit mammals in DuPage. Ages 10 – 17. Register online or call 630-850-8110. Learn how to safely ride and care for horses, gain an understanding about their instincts and behaviors, and discover humane and effective methods for training them. You must turn in requirements 1b and 4 at the start of the program. Ages 12 – 17. Register online or call 630-668-6012. Explore the world of minerals, rocks and fossils of northeastern Illinois to complete requirement 5d. You must turn in completed requirements 4a or 4b at the start of the program. 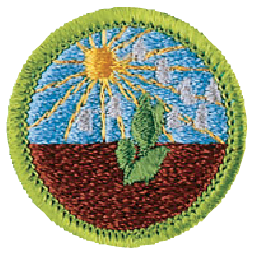 Ages 10 – 17. Register online or call 630-850-8110. Learn how to predict the weather through activities and projects, and explore thunderstorms, tornadoes, hurricanes and other extreme conditions. You must turn in completed requirements 9, 10 and 11 at the start of the program. Ages 10 – 17. Register online or call 630-850-8110. Learn about snowshoeing, snow safety, responsible recreation, and fitness, and then complete a 2-mile hike. (If there's not enough snow for the hike, you'll need to return another day to complete the hike and requirement 7.) You must turn in completed requirements 1a, 1b, 4, 5, 6a, 6b, 6c and 6d at the start of the program. Equipment provided. Ages 10 – 17. Register online or call 630-850-8110. At this working 1890s living history farm, learn the merits and uses of heritage and other livestock breeds and discuss proper planning and management. Requirement 6 will focus on the farm's Southdown sheep and lambs. You must turn in completed requirements 1, 2, 3 and 7 at the start of the program. Ages 10 – 17. Register online or call 630-850-8110. Learn the basics of using a bow and arrow and the proper techniques for shooting a compound bow. Equipment provided. Ages 10 – 17. Register online or call 630-850-8110. Explore the science of plants through hands-on activities and experiments and work with a naturalist on Option 3: Field Botany for requirement 8. You must turn in completed requirements 5 and 7 at the start of the program. Ages 10 – 17. Register online or call 630-850-8110. 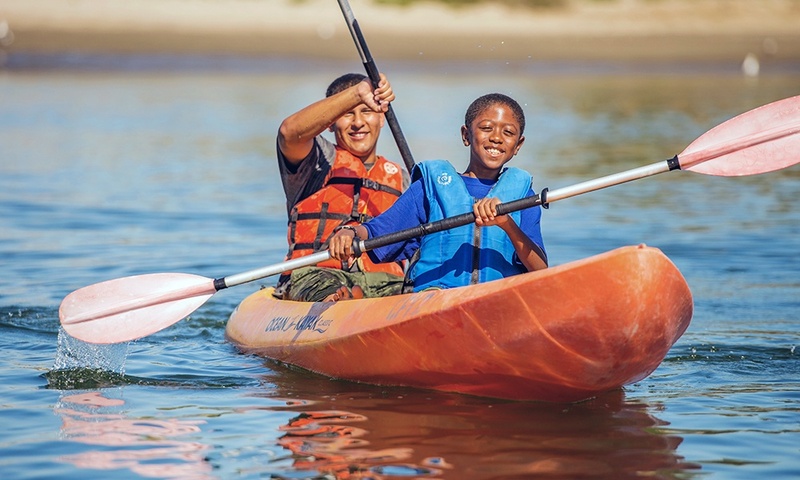 Learn boating safety, the parts of a kayak and how to properly paddle while earning your merit badge and kayaking BSA award. You must turn in proof of your completed BSA swimmer test at the start of the program. Ages 10 – 17. Register online or call 630-850-8110.